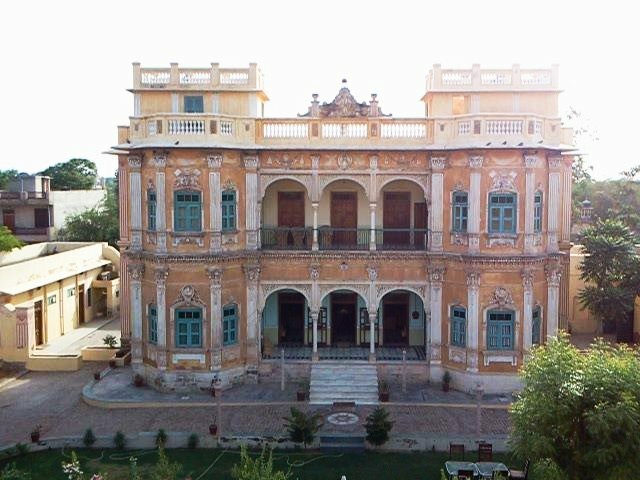 Nawalgarh considered as the Golden city of Rajasthan is a town located in the Jhunjhunu district of Rajasthan state, India. 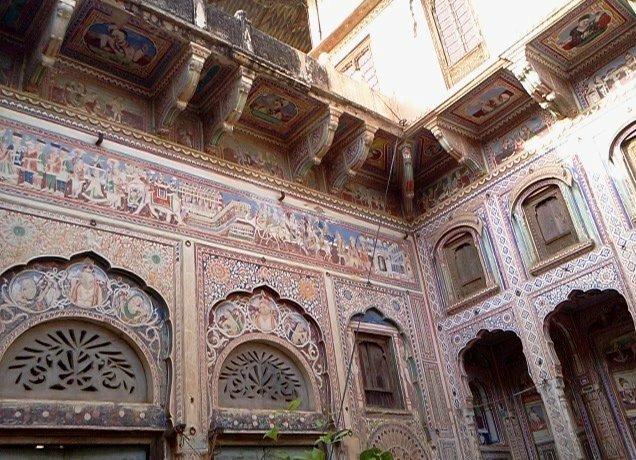 The place is known for its numerous Havelis and grand architecture with some beautiful frescoes and paintings done on them. 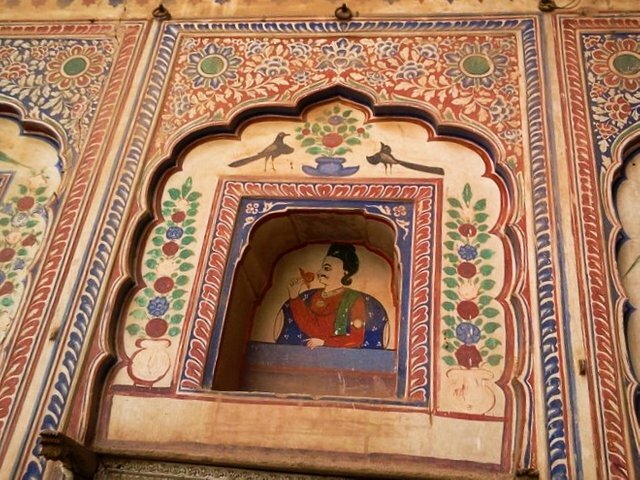 It is an open art gallery of Rajasthan. 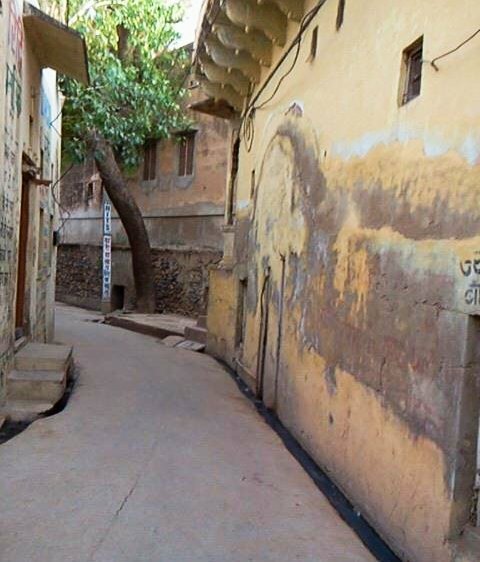 Nawalgarh, founded in 1737 by Nawal Singh encouraged traders and merchants from Jaipur to settle down in Nawalgarh. 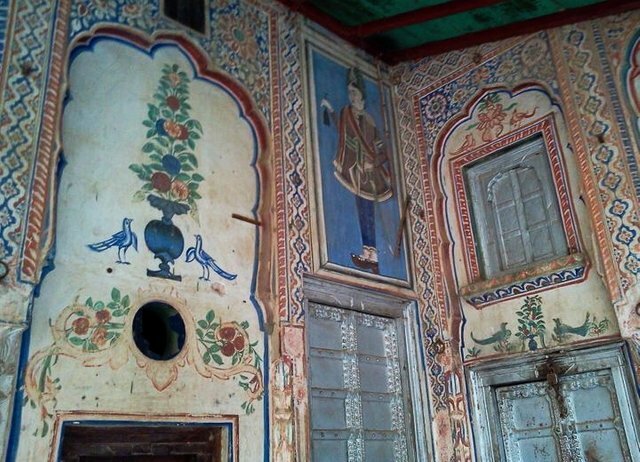 Most of the old Havelis, temples, step-wells still have the richly decorated painted murals and are well preserved. 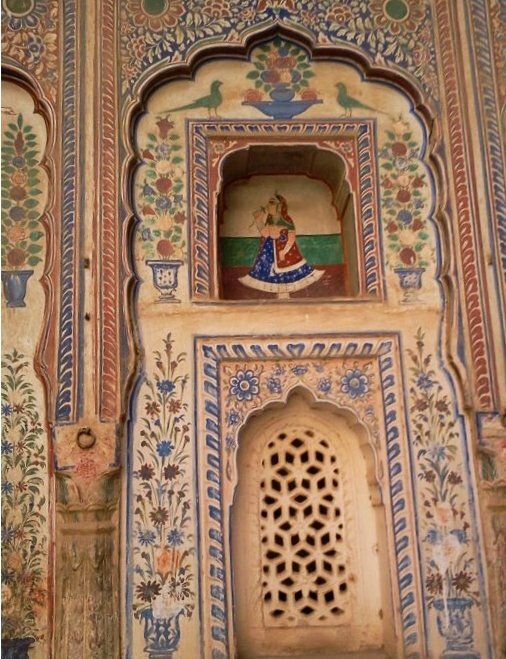 The entrance of the Havelis are painted from the ground to the top depicting stories of Gods and Goddesses, and everyday scenes. These paintings are a blend of ancient and modern artworks and it's a treat to look at them. 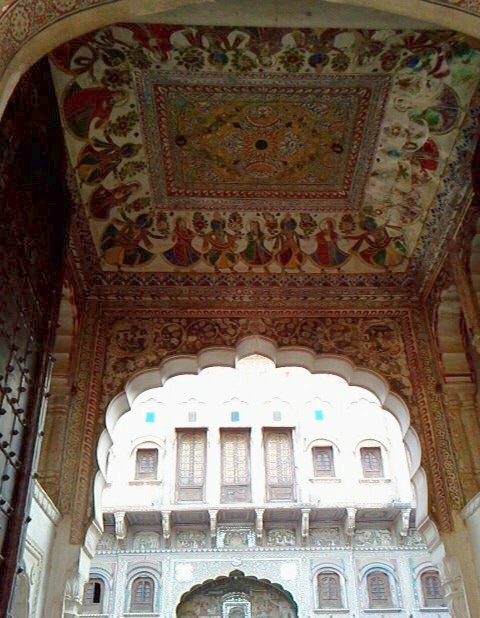 Haveli is a Persian word meaning ‘an enclosed space’. 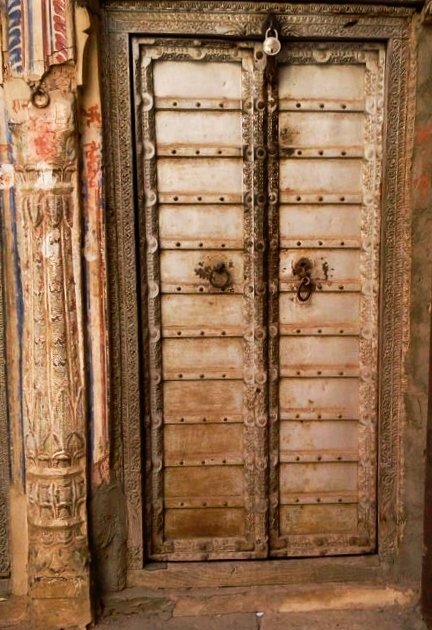 Most havelis have huge arched gateway, protected by a wooden carved door. 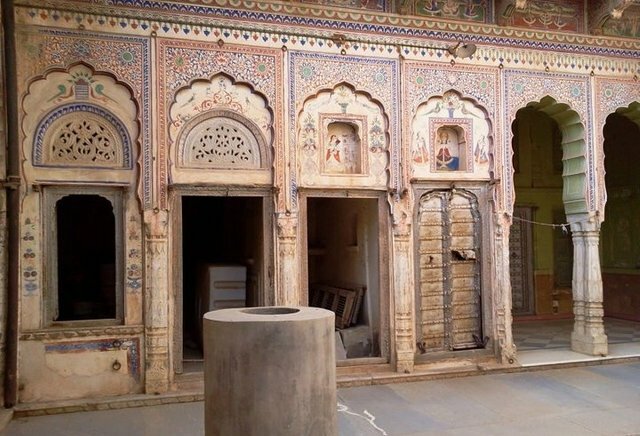 Nawalgarh was a quick stop for me and even though I didn't get enough time to explore the place I was happy to get a feel of the place, and it has left me wanting more. There are many close by areas with amazing paintings and museum as well showing detailed and colorful paintings of the area and I would love to visit them sometime.. 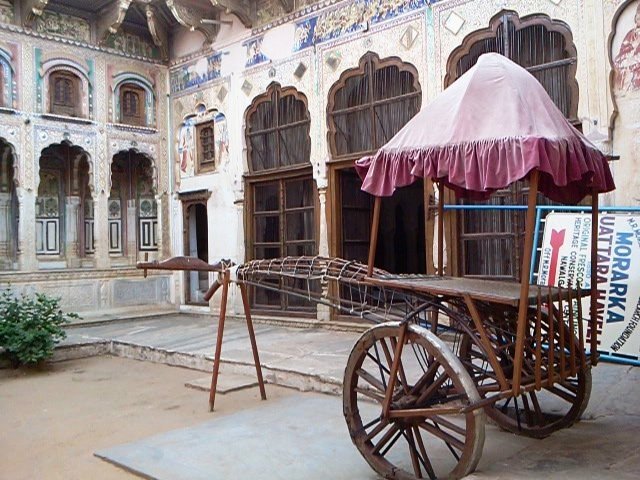 The Aath Haveli: one os the best havelis in the region, 'Aath' meaning eight that denotes the number of havelis. Thanks @archisteem it would be an honor to have this story connected with your project.. Feel free to use it.. Awesome, thanks @itravelarts! Looking forward to read more of your stories. I very like the murals and details! Amazing photos! 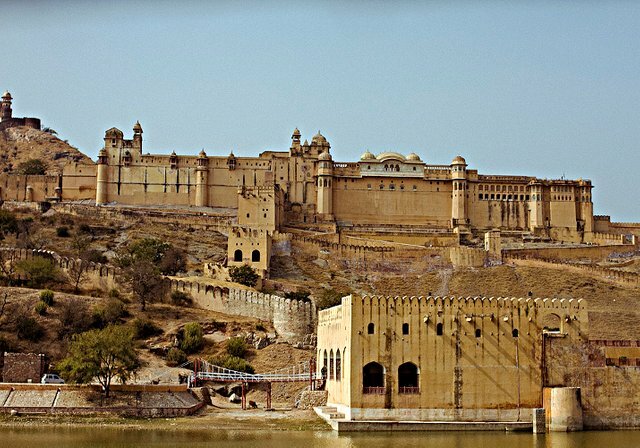 Well I like the mountains since long time but after reading your posts, it seems that soon I should visit the Royal Rajasthan. Pictures depicted on the walls of the Haweli's are very beautiful. 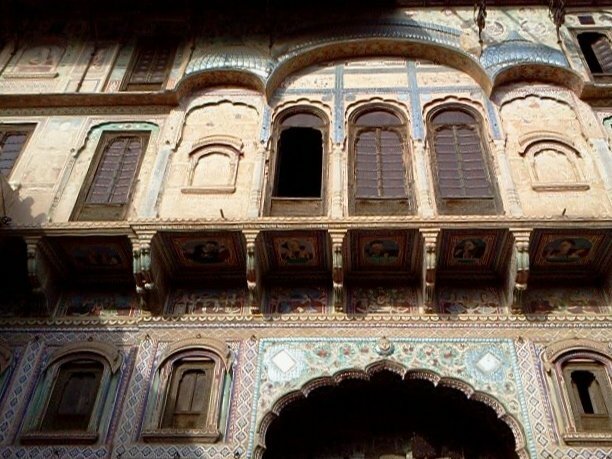 Havelis of Rajasthan has always been tempting tourists. Again a informative post Best wishes from Himalaya. Thank you dear... I am too in love with mountains, but the forts and palaces have a special place in my heart.. How are things at your end? Everything is good here, winters has came in Himalaya. I have just back from Jalsu Jot trek. How are you doing?. Thank you l@ibtrepidphotos ..I Am sure you are gonna love it.. Rajasthan has lots to offer.. Which part are you from? Do you have forts and palaces thr? I live in Canada but I am Australian. Congratulations! Your high-quality travel content was selected by @travelfeed curator @mrprofessor and earned you a partial upvote. We love your hard work and hope to encourage you to continue to publish strong travel-related content. Howdy there itravelarts! 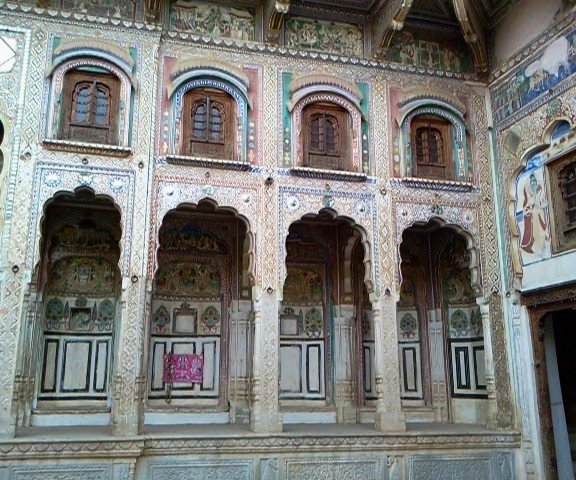 There is so much detail work everywhere throughout the entire structure! wow. That top photo looks like one huge fort, is that the city with a wall around it? Hello @itravelarts, thank you for sharing this creative work! We just stopped by to say that you've been upvoted by the @creativecrypto magazine. The Creative Crypto is all about art on the blockchain and learning from creatives like you. Looking forward to crossing paths again soon. Steem on!